Now available in Yellow over White and Olive over Yellow! False Albacore can be very selective as to baitfish size and color. 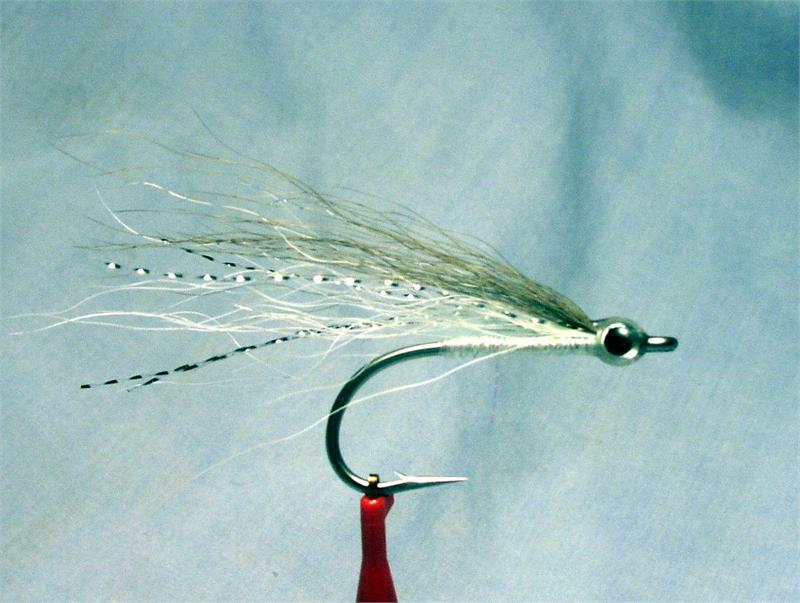 Dave's Albie fly is designed to imitate Bay Anchovies or Glass Minnows, which become important forage in the fall, from Massachusetts to Maryland. Merrimack River Flies field testers proved that this is as an effective anchovy imitation. When you can't figure out what the Albies are feeding on, give Dave's Albie Fly a try. The size of these baits ranges from 1” to 2”. '…after an exciting and productive day on the water, I've resolved that Dave's Albie Fly is hands down the best albie fly there is. 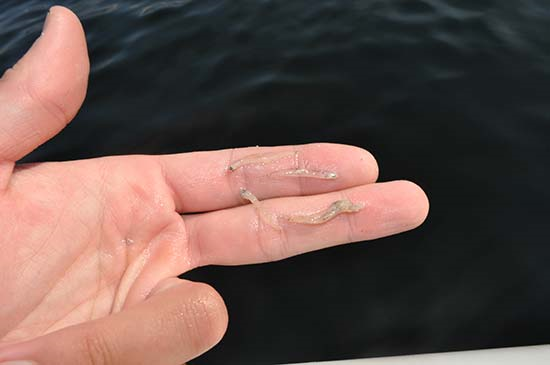 The bait the Albies feed on this time of year are these little 1 1/2 inch long anchovies that are olive and gold. 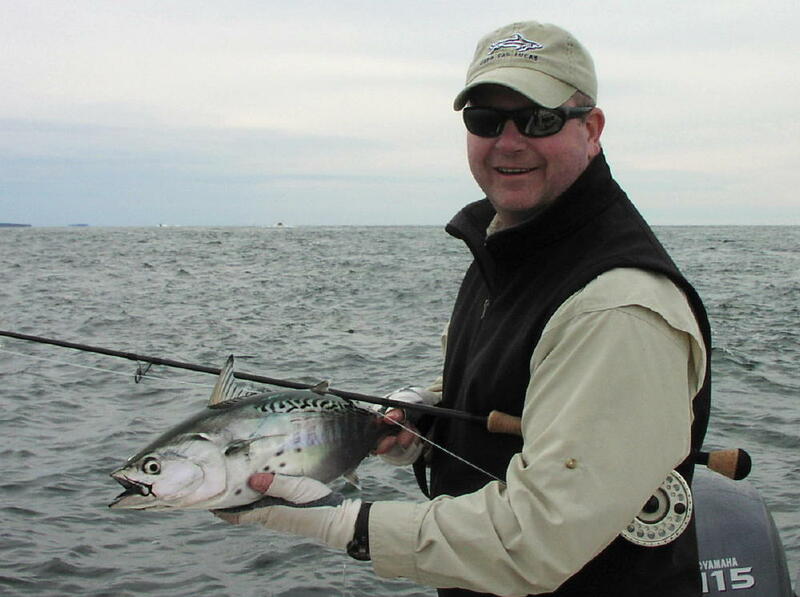 Field Tester Dave Hanley with a NY False Albacore; October 2009.